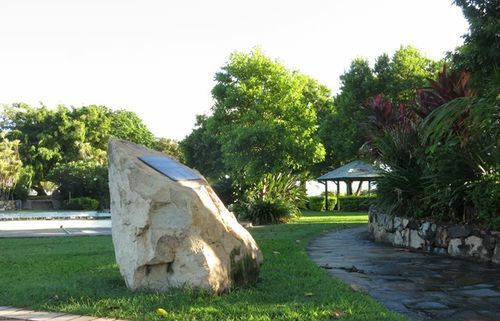 A plaque commemorates the opening of the The Peoples Place Bicentennial Park which was a Bicentennial Project to commemorate Australia's bicentenary in 1988. The bicentenary of Australia was celebrated in 1988. It marked 200 years since the arrival of the First Fleet of British convict ships at Sydney in 1788. The Australian Bicentennial Authority (ABA), pursuant to the Australian Bicentennial Authority Act 1980,was set up to plan, fund and coordinate projects that emphasized the nation's cultural heritage. By His Worship Ald. M. F. Reynolds A. M.